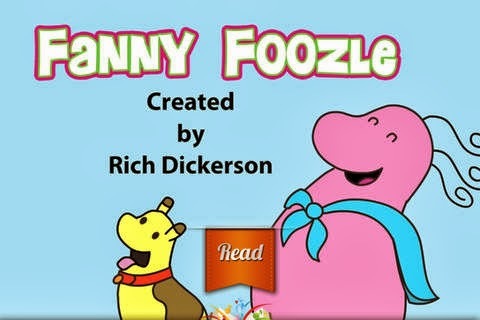 If you have a toddler and you don't have the Fanny Foozle apps downloaded on your phone. You are missing out! Fanny Foozle Storychimes is free and is a great way to start your kids on the path to reading. Each page flips with just the slide of your finger and if your little ones are proficient with tablets like mine they should have no problem. The app is a read a long version and as the child turns the pages the story is read to them. It is a great way to let your child interact with you while you read with them. Mine absolutely loved all of Fanny Foozle's books but even more so loved the sing along songs. They danced and danced to Fanny Foozle Pop and the great thing is Pop is also free. Fannie Foozle is perfect for my 3 and 5 year old for those long car trips when you are ready to pull your hair out. Fanny Foozle is the perfect distraction! Free For All was given a free digital app copy to review Fanny Foozle but hec it was Free any way you can get it to bes ure to dowload yours now. All opinioins are 100 percent my own!